I’ve got Cosmo next door and he’s lottsa fun, but otherwise I never see another Beardie around here – luckily though, there’s lots of other Doggies around here to hang out with! How fun!!!! 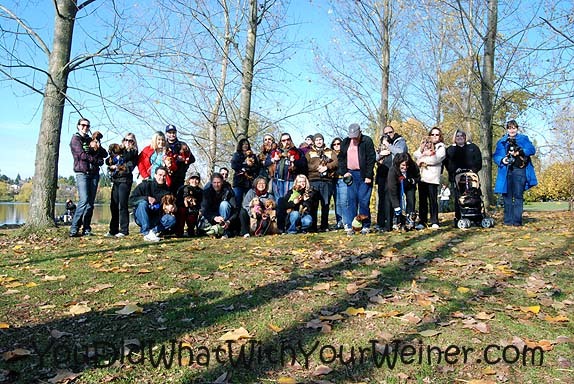 I wish we had a wiener meet up here in Tallahassee. Happy Wordless Wednesday! I would so love to come upon this group in a park! I would love that 🙂 So much cuteness! It IS really fun to get a lot of the same breed together. It sure draws attention! 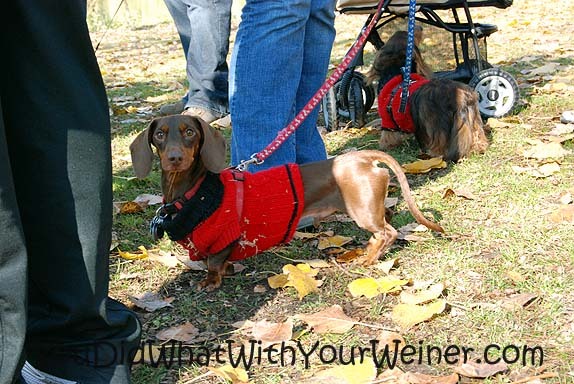 There were about 30 weiner dogs that day. 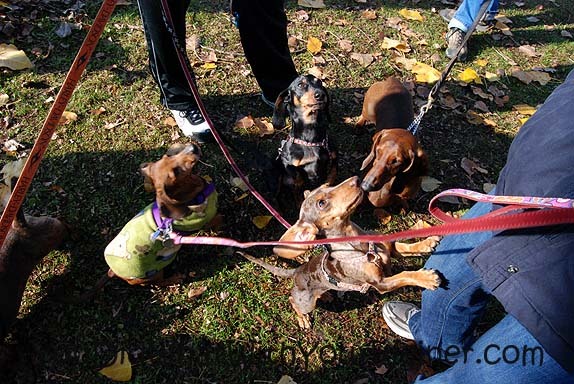 What cute little weiner doggies. I’m glad they can get together and play. Looks like it was a beautiful Fall day. The second picture is really cute.